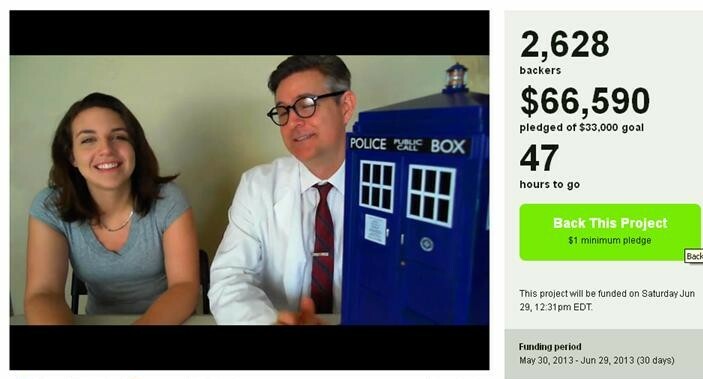 Want to help put a TARDIS in to orbit? Well the funding project ends on Saturday so hurry up and check it out! They're doing it for the 50th Anniversary of Doctor Who! It's already met its goal, so it's going to happen (YES!) but if you want your name involved or some other cool perk click on the link and back the project! I've been reading a lot lately (not surprising) and am looking for other stuff that I wouldn't usually read. Thanks to this flowchart from Upworthy and 14 Books To Read Before They Hit The Big Screen from Buzzfeed, I now have plenty to occupy my time with. Yay, books! Espionage Cosmetics is a makeup company based in the US that has some really awesome makeup collections with a geek/cosplay fan base in mind, but they're so cool it doesn't matter if you're in to geeky stuff or not! The Geeky Hostess (blogger, youtuber, etc.) recently came out with her own line that you can win! Click here to go to her giveaway post. The colors you buy are a base that can be mixed with their other makeups so you can use them on your hair, eyes, lips, etc! Some can also be purchased from ThinkGeek, so stock up on stuff (like the lamp below) and save on shipping! I found this by watching Liam Dryden's latest Youtube video. You can win it- watch the video to see how. But if you feel like you need it now instead of hoping to win, you can get it from ThinkGeek (they have the best geek stuff, I'm addicted). You can change the lamp around (just like Tetris) and each piece you add to the lamp lights up! I need this in my life.